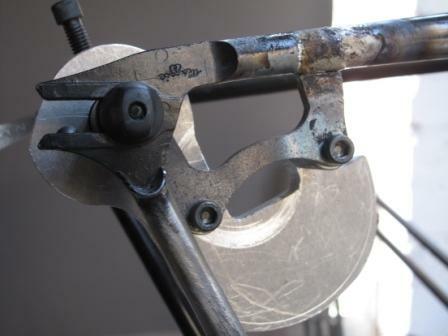 When Riley the mechanic at my LBS wanted a disk tab fitted to his new ride to work creation he came to me.We know little about the frame to start with but it has “Maggie” engraved on one rear dropout and “Valentine” on the other,.hence the name. Riley provided me with the wheel and caliper he was going to use. 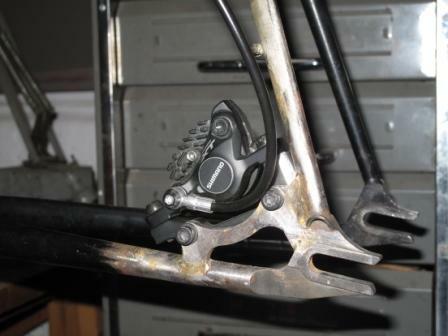 Yes, fitting a tab to a frame with rear facing d/o’s does mean that you have problems with disk, caliper engagement . 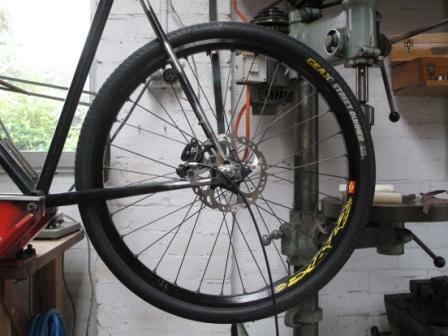 The easiest solution is to run a half link chain so that the wheel isnt pulled too far back. Riley is a mechanic . He will sort that out. The first step for me was to reset the rear end so that the wheel slid in easily. 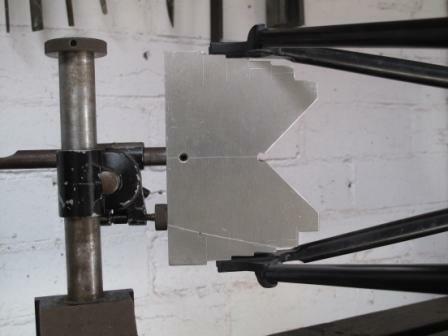 5mm of spring could lead to the tab being attached at an angle and that would mean the caliper might not align with the disk. 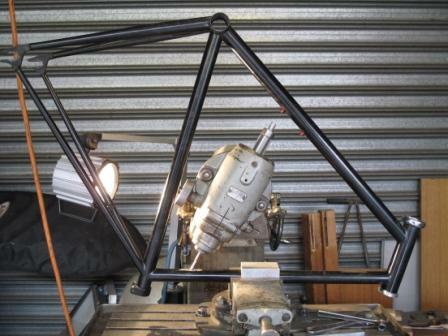 In any case its always better not to stress your frame every day.. The next step was to fit up the tab and see how much I had to reshape it. 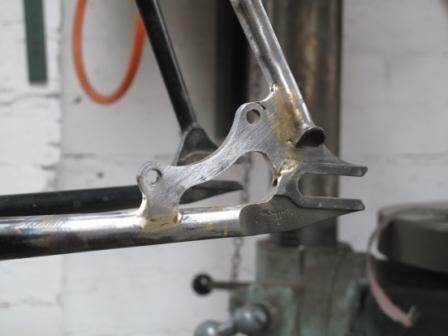 Having done that Riley also wanted to run his hydraulic hose inside the top tube and down the outside of the rear stay. 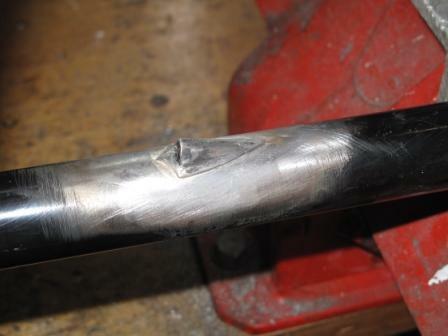 I slotted the top tube on the milling machine and started to think about lighting the torch. 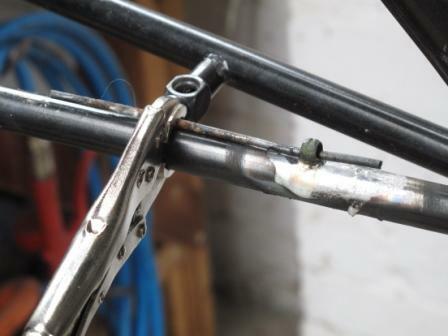 While the entry points for the hose and the guides down the stays can be silver soldered on I figured the disk tab needed to be brass brazed given the fact that building a nice strong fillet around it would not be possible otherwise. Once that was done it was just a matter of cleaning things up and giving it to Riley who amongnst other things is planning on riding it Around the Bay in September.